In Al-Farabi Kazakh National University various programs of academic mobility of students to help our undergraduates have the opportunity to study in countries near and far abroad. 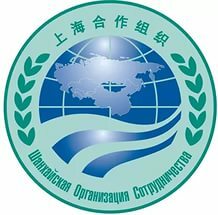 For example, the Department of undergraduates studied a semester program of SUCO ( Shanghai University Country Organization ) in the Peoples’ Friendship University of Russia (Moscow) in the direction of “Ecology”. Students attended lectures of professors of the Faculty of Environmental in Russian Peoples’ Friendship University and participated in “Congress of Ecologists of Russia” which took place in the Kremlin Palace of Congresses. Department “UNESCO for sustainable development” conducts international cooperation with leading universities in the world such as the International University of Nature, Society and Man “Dubna”, Russian Peoples’ Friendship University, Middlesex University, University of Cumbria, Swansea University (UK), University of Nancy (France), Siberian Federal University.